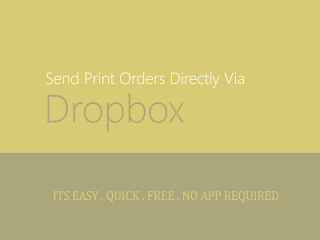 With the increasing use of high end mobile phone we always feel the need of a software/app that can make it possible for us to send direct print orders to our printer which is connected to our PC. But when we search the solution on internet we are advised to buy an app which is little expensive solution i guess. So we are bringing a free way to make this done. Step 1: Make sure that you have Dropbox installed and running on the computer that is connected to the printer. 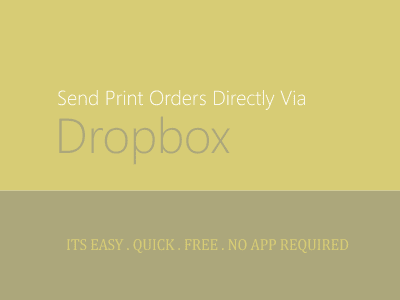 Step 2: To send print jobs from your mobile device to the printer, you have two options. You can either download a Dropbox app on your mobile phone – they have apps for iPhone, BlackBerry, iPad, Android, Windows Phone, Nokia – or the other option is you upload the files (that you would like to print) to your Dropbox using email. You can use IFTTT to send files to Dropbox over email. Step 3: Download this zip file* and double-click the eprint.vbs file (see the source code). The script will create a sub-folder inside your main Dropbox folder called PrintQueue where all the mobile print jobs will queue up and another sub-folder called logs where all the completed jobs will be archived. [*] VBS scripts are Windows-only but there are workarounds for Mac OS X and Linux as well. Step 4: You are now all set to print files from our mobile phone. Just send a test file from your mobile phone to that secret email address, or upload it through the Dropbox mobile app, and your printer will turn it into a hard copy almost instantly. The utility can also handle multiple files in one go and it should print almost all file formats for which you have an associated application on the computer. If you would like to shut down the eprint utility, launch Windows task manager and end the “wscript.exe” process from the list.